Posada del Hidalgo is a beautifully-converted colonial mansion located in the heart of El Fuerte. 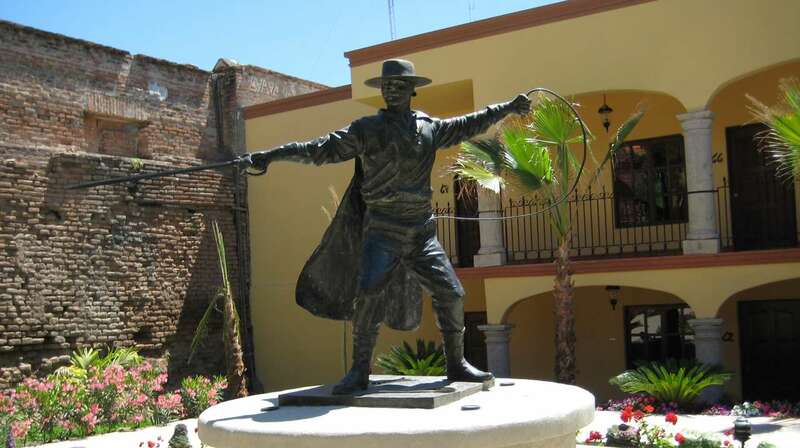 Situated below the old Fort, the building dates back to 1890 and is believed to be the site of the original home of 'EL Zorro' the Don Diego de la Vega. Today the hotel has 54 rooms split between new and old parts of the house. The latest rooms are located around a well-tended garden where the fountain statue of El Zorro stands, while the old part of the house has the original rooms, most with high ceilings and set around an inner courtyard. All rooms have private bathrooms and air-conditioning. There is an inviting pool, restaurant and bar.